4/5 Warmth Rating (Warm) What is this? 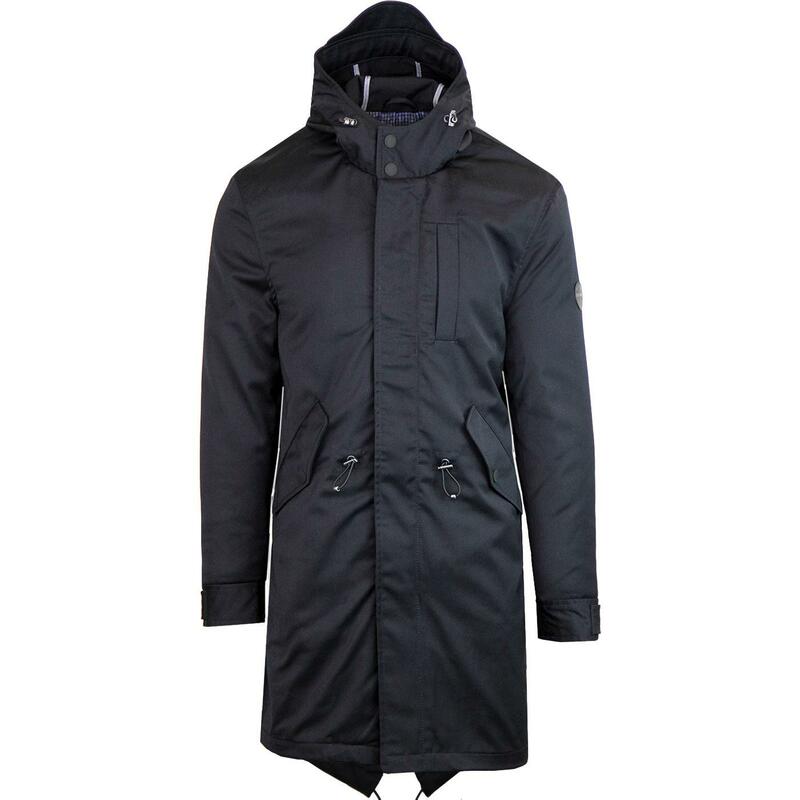 Ben Sherman hooded mod fishtail parka jacket in dark navy. 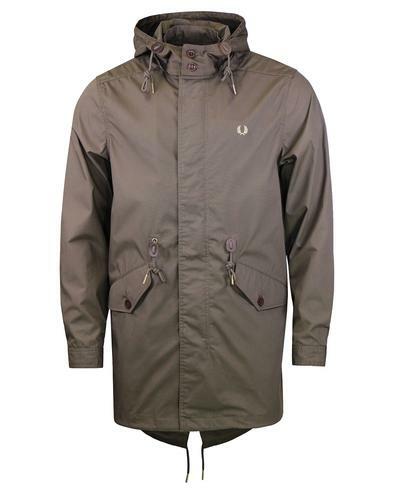 An essential mod outerwear classic for any mod wardrobe. The fishtail silhouette is timelessly stylish, adopted by mods to protect there suits while riding there scooters it now has iconic status as a symbol of everything mod. 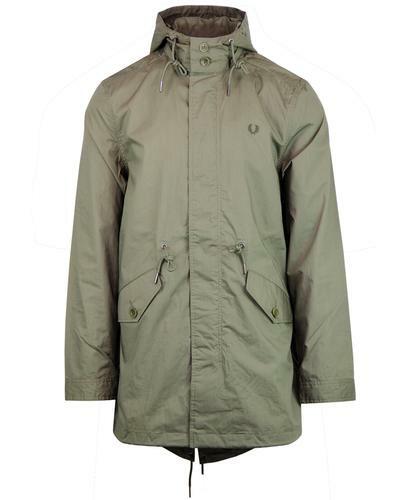 Funnel neck, large hood, button down pockets and drawstring waist and hem are all typical of the classic mod 60's parka. Ben Sherman's Fingerprints are all over this jacket, from the signature metallic hardware to the quilted lining in there unmistakable house gingham check design. 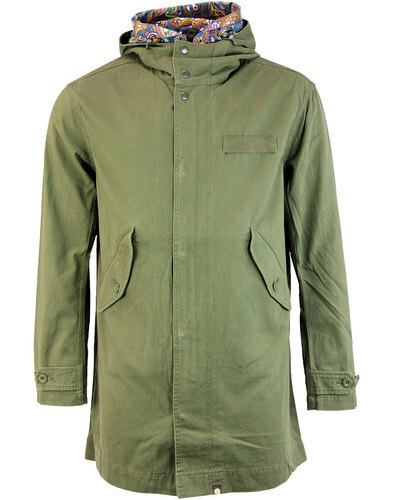 An updated take on a a classic heritage outerwear masterpiece from Ben Sherman. Composition: Shell: 80% Polyester 20% Viscose. Lining: 100% polyester. Care: Not Machine washable. Please refer to garment care label.